There are three primary types of hearing loss: conductive, sensorineural or mixed hearing loss (a combination of both). Conductive hearing loss is caused by problems in the outer and middle ear, which can prevent sounds getting through to the inner ear. The most common causes can be a build-up of wax in the ear canal, perforated eardrums, fluid in the middle ear, or damaged or defective ossicles (middle ear bones). With this condition, sound cannot be conducted efficiently through the outer ear canal to the eardrum and the tiny bones (ossicles) of the middle ear. This results in a reduction in sound level or the ability to hear faint sounds. 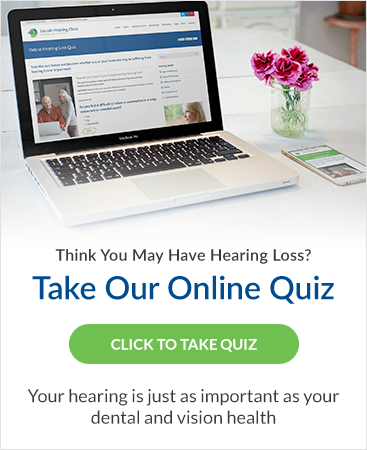 Conductive Hearing Loss is often temporary or medically treatable. Sensorineural hearing loss accounts for about 90% of all hearing losses and occurs when there is damage to the inner ear (cochlea), or to the nerve pathways from the inner ear to the brain, which prevents the proper transmission of sound. The most common causes are aging and exposure to loud noise. This condition is in most cases permanent and cannot be medically or surgically corrected. Hearing aids however, can be beneficial for this type of hearing loss. Mixed hearing loss involves a combination of any types of hearing losses and disorders. In most cases mixed hearing loss can be successfully treated with the appropriate hearing aids. Hearing loss can result from a number of things including: illness, an accident, exposure to certain drugs or chemicals or being born with varying degrees of hearing loss. Still, the most common sources of hearing loss are as a result of the normal aging process or exposure to loud noise.